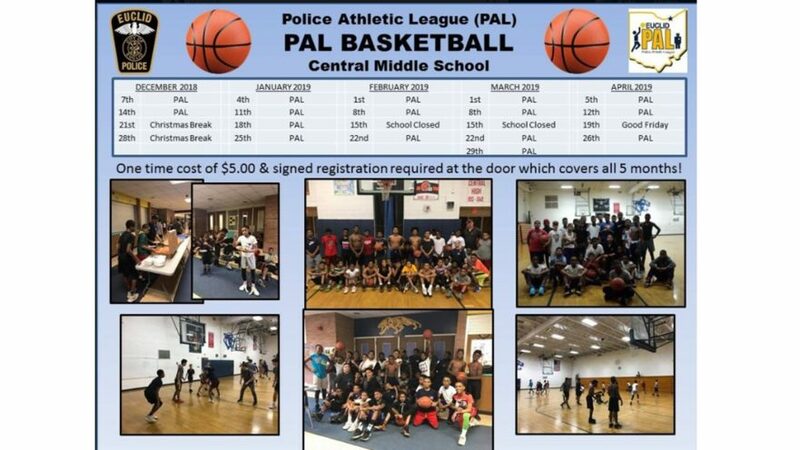 Police Athletic League (PAL) Basketball starts this Friday @ Central Middle School for our 6th/7th graders! 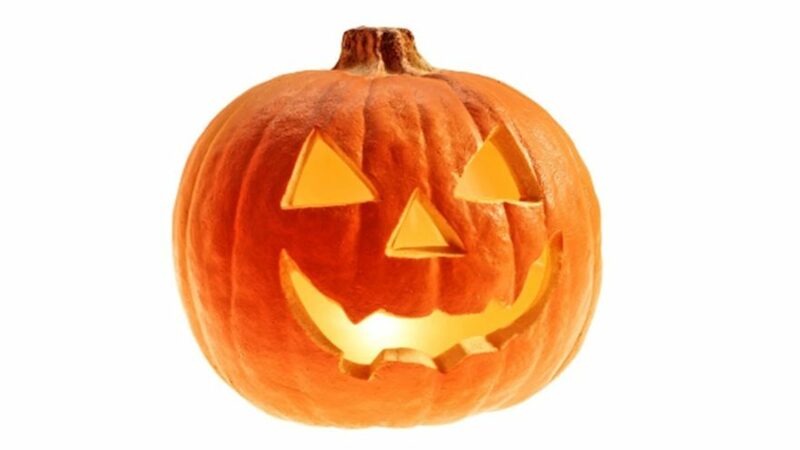 Starts at 6pm and goes until 8:45pm! 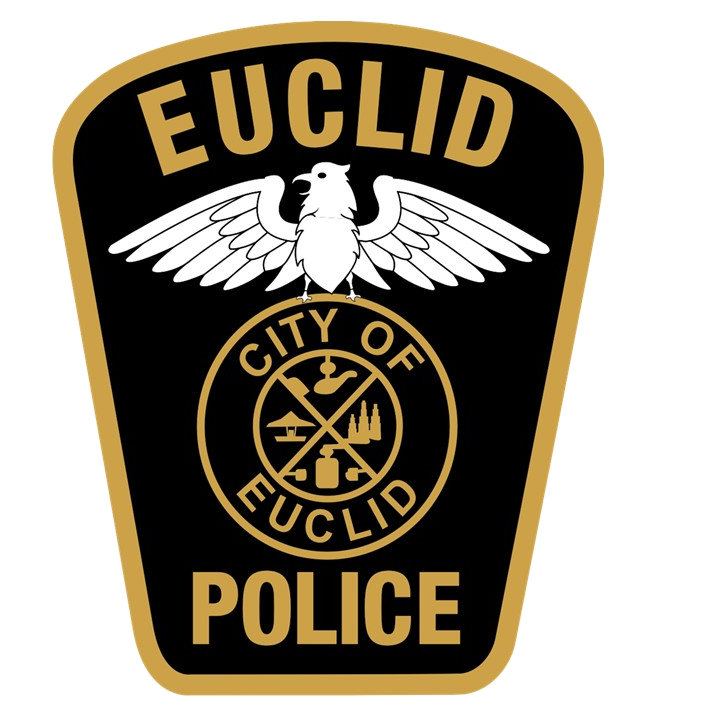 For more info contact Officer George at gpanagiotou@euclidpd.org. 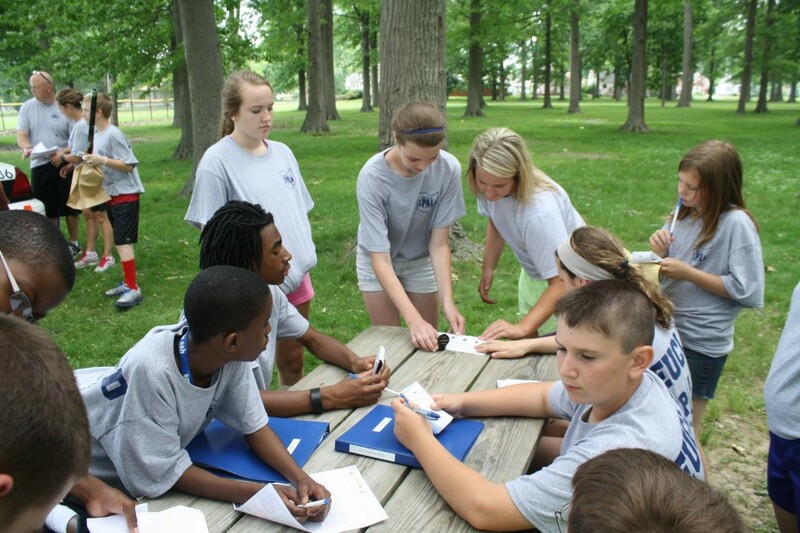 Students MUST bring their parent signed applications in order to play. 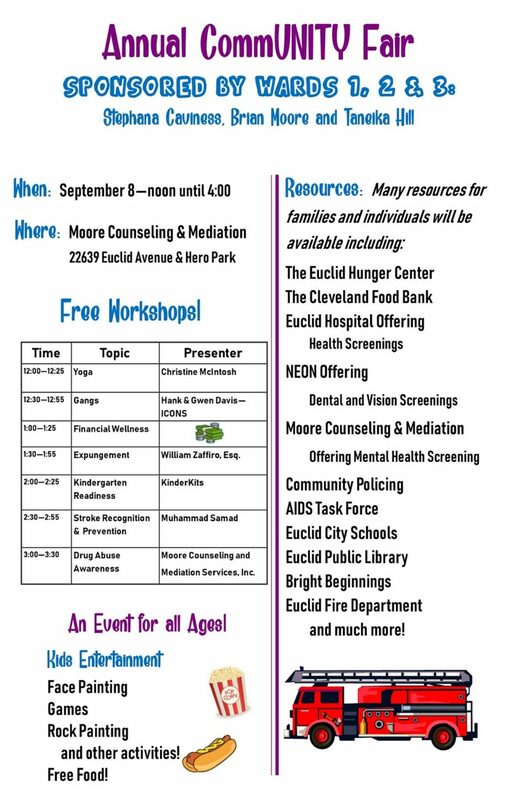 Community Fair is Saturday, September 8th at 22639 Euclid Avenue from noon until 4:00 p.m. Resources from the following organizations will be there. 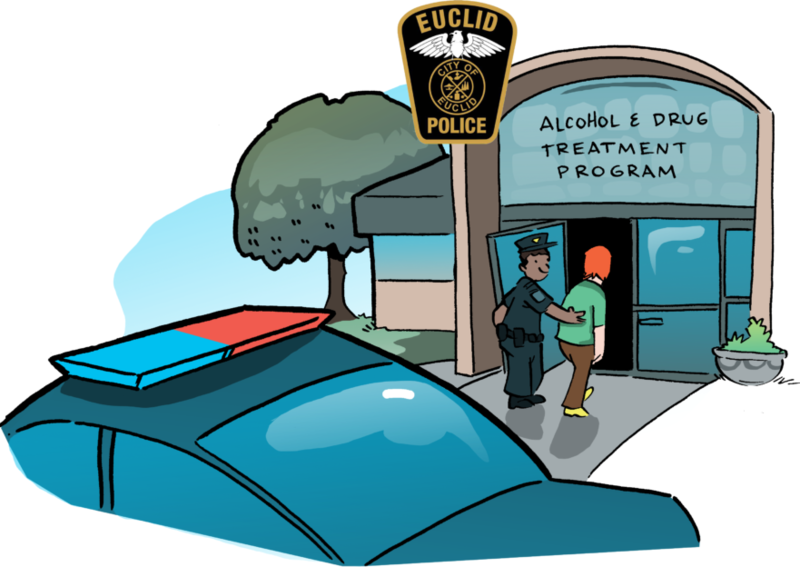 Euclid Hunger Center, The Cleveland Food Bank, Euclid Hospital, NEON Dental, Moore Counseling, Euclid Police, AIDS Task Force, Euclid City Schools, Bright Beginnings, Euclid Fire Department and more. 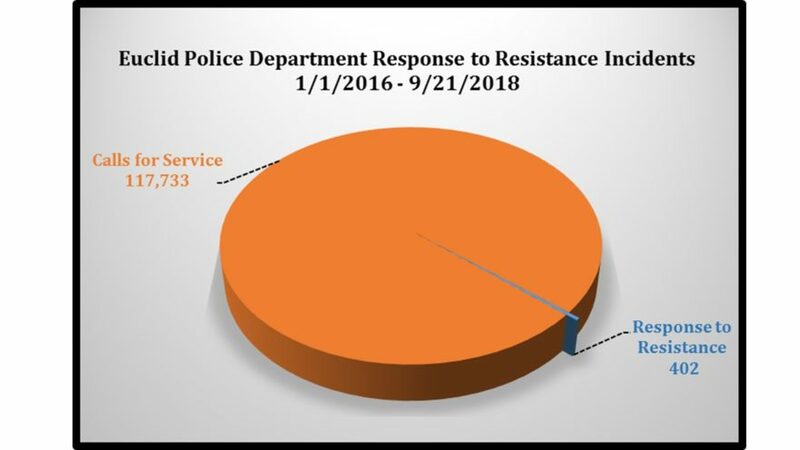 Adam’s Restaurant Wednesday, August 22 9:30 – 11:30 a.m. See you there! 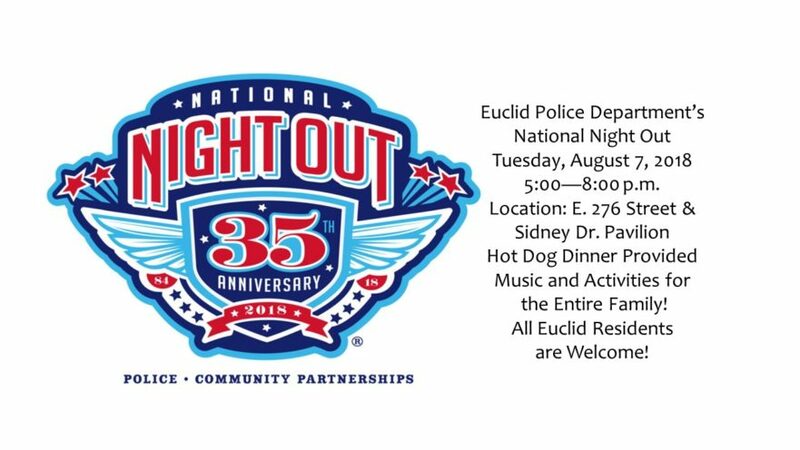 Euclid Police Department’s National Night Out Tuesday, August 7, 2018 5:00—8:00 p.m. 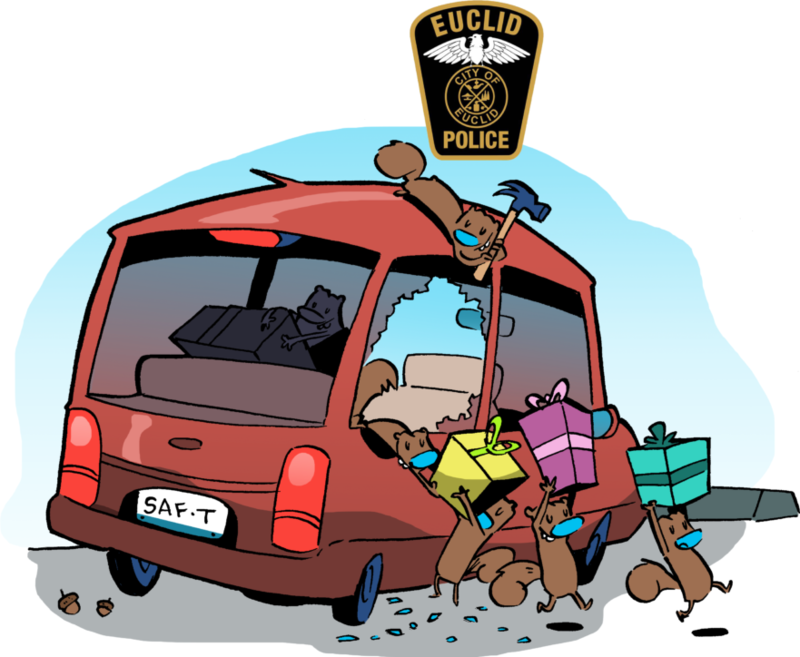 Location: E. 276 Street & Sidney Dr. Pavilion Hot Dog Dinner Provided Music and Activities for the Entire Family! 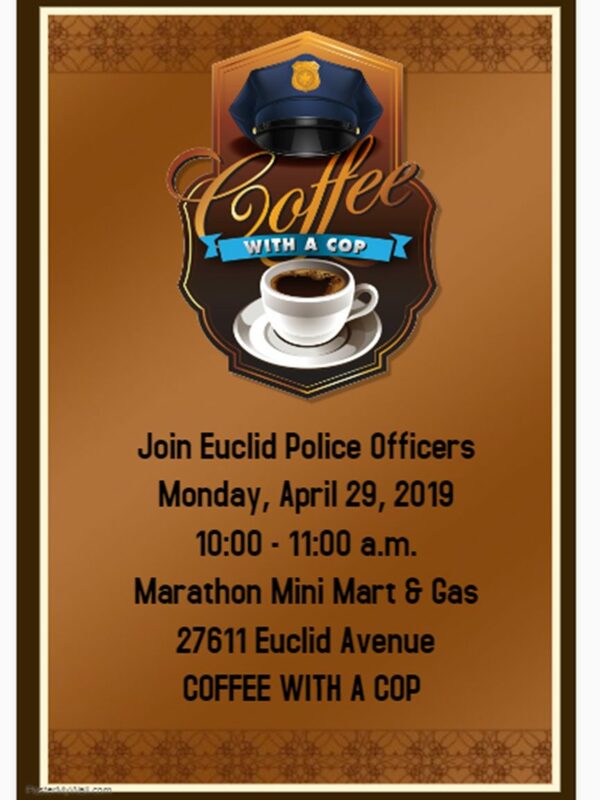 All Euclid Residents are Welcome! 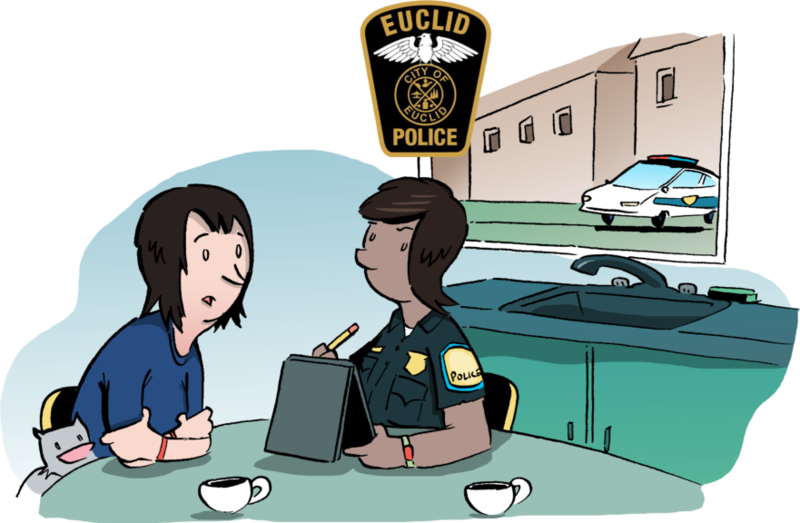 The fall citizens police academy is full and no longer taking applications.